Weight loss surgeries in Mexico are very popular among patients suffering from obesity worldwide. With the development of world class medical infrastructure, healthcare in Mexico is comparable to that in the first world countries. 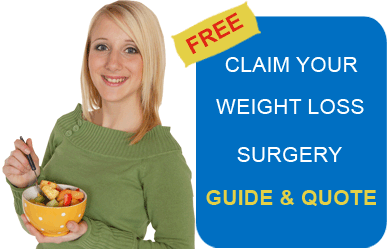 However, it is advisable to consider a few risk reduction tips for weight loss sleeve surgery in Mexico. Bariatric surgery is the only solution available for obese patients with a minimum BMI (Body Mass Index) of 40, who have been unable to lose weight through non-surgical methods. Restrictive procedures such as gastric lap band and gastric sleeve are being preferred by many patients with a BMI of 35 or more but suffering from obesity related conditions such as high blood pressure and diabetes. Sleeve Gastrectomy surgery in Mexico is not only cost friendly but also considered safe, as usually the chances of risks diminish when such procedures are undergone in certified hospitals under experienced surgeons. With booming medical tourism, many private clinics have sprung up. While these may promise quality care, they may not be equipped to provide the required level of services. Weight loss surgery in Mexico can be extremely risky if performed by inexperienced surgeons under non-sterile conditions. Procedures such as sleeve gastrectomy usually are risk free but there are rare chances of problems cropping up. Gastric sleeve surgery complications such as bleeding, infection, septicemia, gradual enlargement of sleeve post surgery, etc., need to be kept in mind while contemplating such surgery. Many a time, the patient may require additional care and medical attention post surgery. Many low cost clinics and hospitals may not provide the same. Although Mexico is located adjacent to United States, westerners can often experience a radical culture shock. Often critical information such as patient’s past medical history, problems being faced prior to and post surgery remain uncommunicated due to language barriers between the patient and medical staff. While you contemplate getting a vertical sleeve gastrectomy in Mexico, it would be prudent to check on the prices quoted for the procedure. Efforts should be made to ensure that there are no hidden costs involved. Many times, patients flock to countries such as Mexico to avail innovative medical procedures and access drugs which have not yet been approved by the FDA. It is necessary to appreciate the risks inherent in such an approach. Mexico has about nine JCI (Joint Commission International) accredited hospitals. Due to the stringent quality requirements necessary for such accreditation, it is prudent to check into such an institution for your weight loss surgery in Mexico. Thoroughly research your surgeon’s experience and credentials before finalizing anything. Make arrangements for your post surgery recuperation. You can get your local doctor to network with your surgeon or stay in touch directly once you return home. To make your medical trip more convenient, it is suggested that you get in touch with a reliable medical service provider such as Bariatric Surgery World. Undergoing sleeve gastrectomy in Mexico with the assistance of an intermediary such as Bariatric Surgery World helps to secure appointments with experienced doctors and facilitate treatment in good quality hospitals. Getting to Mexico is quite easy. There are about 40 official border crossing points between Mexico and United States. It is also possible to fly directly to Mexico without any plane changes from 30 U.S. destinations. U.S. and Canadian citizens can enter Mexico without a passport, based on other official documents and proofs of citizenship such as Driving license and original birth certificate. The Mexican currency is the Peso denoted by the ‘M$’ sign. International debit cards and credit cards such as those issued by VISA and MasterCard are easily accepted. The ATM network is extensive but to ensure your card’s pin number is secure and not cloned by card cloners, better use secure indoor ATMs. Le puedes repetir, por favor? – Could you please repeat that? Me puedes ayudar, por favor? – Can you please help me? When you plan to get your weight loss surgery in Mexico, keep in mind that July and August and mid-December to early January are the peak holidaying months. Recuperation post surgery can include a vacationing experience. However, a prominent risk reduction tip for getting weight loss surgery in Mexico would include staying away from physically intensive activities immediately after the surgery. Also, to avoid gastric sleeve surgery complications such as infection and dumping syndrome, take care while indulging in spicy Mexican cuisine. Bariatric Surgery World facilitates affordable gastric sleeve and other obesity surgeries in Mexico. For more information and FREE quote, submit the estimate–request form on the right.